A collaborative project connecting the arts of Wales and Syria. Cyffwrdd Syria ~ Touching Syria exhibits SYRIA.ART’s first UK collection of contemporary art created from within Syria and from the Syrian diaspora, alongside Welsh contemporary artists at Storiel, Bangor from 12th January 2019 for 6 weeks. A project organized by Cyffwrdd Celf Cyf and SYRIA.ART in collaboration with Arts Council Wales, Pontio and Storiel. Ffion Dafis, Khaled Youssef, Lisa Gwilym, Ifor Ap Glyn, Omar Shammah, Catrin Menai, Bashar Farahat, Nizar Ali Badr, Manon Steffan Ros, Tania Al Kayyali, Menna Thomas, Humam Alsalim, Huda Takriti, Obaidah Zorik, Ammar Khaddour, Ayham Jabr, Maeisam Mallisho, Blodau Gwylltion, Oasis World Choir and Band. Angharad Griffiths, Paola Dyboski-Bryant, Mishelle Kit, Menna Alwen Thomas (from Cyffwrdd Celf Cyf, a socially conscious and progressive arts organisation dedicated to using the arts to connect people and cultures), Khaled Youssef and Humam Alsalim (from SYRIA.ART), in collaboration with Arts Council Wales, Pontio and Storiel. 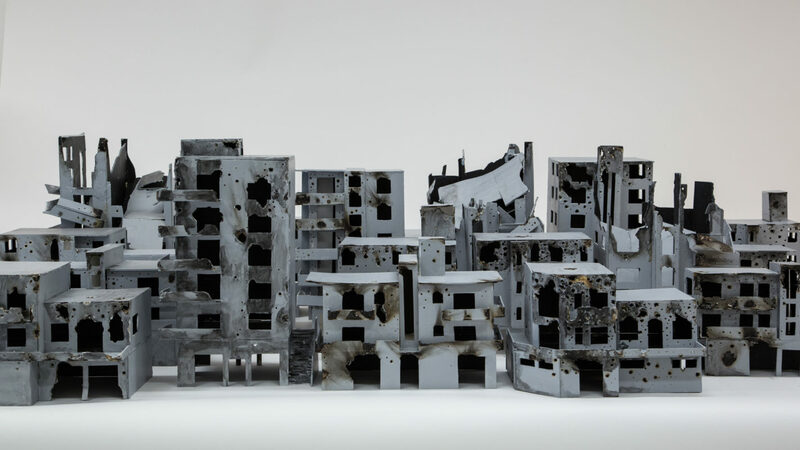 Cyffwrdd Celf Cyf and SYRIA.ART are very proud to present this wonderful project that Angharad Griffiths, Paola Dyboski-Bryant, Mishelle Kit, Menna Alwen Thomas, Khaled Youssef and Humam Alsalim have been working on for two years. Thank you to Arts Council Wales, Pontio and Storiel for helping us turn our idea into a reality and sharing our vision to showcase the work of incredibly talented Syrian artists by working with Welsh artists and art establishments. There will be a 6 week exhibition in STORIEL and a day of events at PONTIO – interviews, talks, films, poetry, music and food that will celebrate Syrian and Welsh culture.